BERLIN, Jul 10 2015 (IPS) - When the three-day conference on Financing for Development begins on Jul. 13 in Addis Ababa, the competitors in this year’s Tour de France will have reached the mountains. They will have already experienced a few spills and will still have many kilometres to go. A similar situation is facing us with the many important conferences taking place in this important, watershed year for development. The journey began with a successful and financially productive pledging conference organised by Gavi, the global vaccine alliance, in Berlin in January, and it is set to end in December with the conclusion in Paris of a climate agreement that is binding under international law. In between, we had a G7 Summit at Schloss Elmau in Bavaria in June that will surely remain in our memories for a long time. For one thing, this was probably the first summit where so many guests were invited to attend for such a long time and where development issues were so prominent on the agenda. Heads of government from Nigeria, Senegal, Ethiopia, Liberia, Tunisia and Iraq were joined by the heads of international organisations such as the United Nations, World Bank, International Monetary Fund (IMF), World Trade Organisation (WTO), International Labour Organisation (ILO), Organisation for Economic Cooperation and Development (OECD) and U.N. Environment Programme (UNEP). As announced by German Chancellor Angela Merkel in Brussels back in 2014, it was a true development outreach focusing on Africa for all that security issues also played a major role. For the first time ever the heads of state and government of the G7 countries agreed to strive for a carbon-free world by the end of the century. 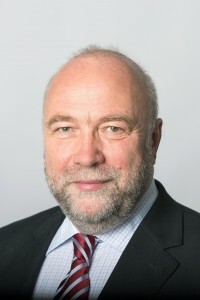 Merkel, Germany’s environment minister at Kyoto in 1997 and the climate chancellor of Heiligendamm in 2007, has once again succeeded in convincing others to join forces in forging ahead with regard to an important issue. “If the countries of Europe and Africa could agree that those who use up more of the permitted volume for storing CO2 in the atmosphere than others should pay more into the climate fund, then we would have taken a huge step forward. And those whose CO2 emissions are lower … should enjoy a comparatively greater benefit from this climate money"
So far what we mostly have are words. Germany is the only industrialised country to have significantly increased its Official Development Assistance (ODA) in 2015.Germany stands by the 0.7 percent target, but is unwilling to commit to a rigid timetable with fixed increments for increasing ODA. Of course, ODA remains important but there are other sources for financing development. Above all it is about how efficiently the money is spent and whether the burden is fairly shared. That should also be the most important leitmotif for the Financing for Development conference in Addis Ababa. It will scarcely be possible to get binding financial commitments from everyone in Addis. It would also be a great shame if developing countries were to call for more money from the industrialised countries and donors and the “accused”, having been put on the spot, were to respond by pointing the finger at the poor performances of the developing countries when it comes to governance, legal certainty, human rights and an independent judiciary. Instead of confrontation it would be better if efforts were made in Addis, as they were in Elmau, to continue laying the ground for working together on a basis of mutual trust, with concrete topics and fields of cooperation being named. Before the December climate conference in Paris, there will be the General Assembly week in New York with all the heads of state and government, a meeting that is especially important this year. This will be the occasion for agreeing on new goals for sustainable development, on a new pact on the world’s future with concrete goals (Sustainable Development Goals – SDGs), with targets for both developing and industrialised countries. The intention is that all countries should each make their own contribution. The SDGs are to be universally applicable, but with shared yet differentiated responsibilities for achieving them jointly. The success of the Elmau summit was the outcome of a rare harmony between language and substance. The Group of Seven is not just a group formed by the world’s strongest industrialised countries. Following the exclusion of Russia, it has once more become evident how much we need a partnership of countries that really want to build a community of values. The situation at the United Nations, where 193 nations are represented by their national governments, is different. Surely, in this critical situation and in the interests of Germans and Europeans, it behoves us to work towards a special trust-based partnership between Africa and Europe. The only way for the countries of Europe and of Africa to develop in peace is by working together as good neighbours. If we take this partnership a bit further in Addis and in New York, then we will also be successful in Paris and will reach a binding climate agreement. And then we will no longer be able to get away with being vague about the numbers, we will have to share out the CO2 savings among us and, from 2020 onwards, find the 100 billion dollars for the Green Climate Fund. If the countries of Europe and Africa could agree that those who use up more of the permitted volume for storing CO2 in the atmosphere than others should pay more into the climate fund, then we would have taken a huge step forward. And those whose CO2 emissions are lower than the average level or the maximum level per head according to the dictates of sustainability should enjoy a comparatively greater benefit from this climate money. This arrangement would be good for everyone in Europe and in Africa. Germany, the strong export nation with emissions levels of about nine tonnes a head, would have to pay a lot of money and countries like Burkina Faso or Malawi would receive a lot. And a country like Nigeria would also finally have an incentive to put an end to gas flaring once and for all. There are many mountains and cliffs to overcome before reaching Paris, not just for the participants in the Tour de France. However, it is important that we know the route. Otherwise we may find that there are only two parties sitting at the table together in Paris and talking about what they – the United States and China – consider acceptable. Europe and Africa would be out of the running. This other way is not the route that will lead us to our goal. The views expressed in this article are those of the author and do not necessarily represent the views of, and should not be attributed to, IPS – Inter Press Service.